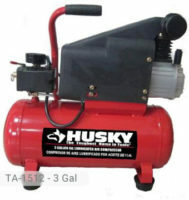 Husky 12 Volt inflator is the most popular 12 Volt air compressor for today. Despite all the car preparations that we make before traveling, we still experience having a flat tire. It is probably one of the most common issues that car owners experience. It almost seems inevitable. More often than not, it comes at the most unexpected of times and when we are least prepared for it. Because of this, it is important that we anticipate it and know what to do when the time comes that we face it again. What is the best solution for this? If ever you have a flat tire in the middle of the road, the most appropriate tool to use is a 12 volt inflator. 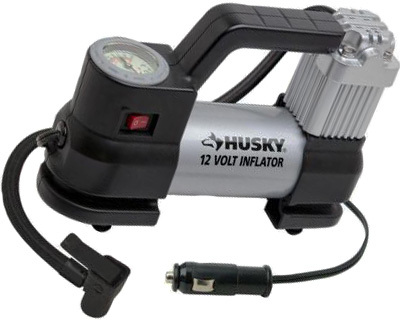 Husky 12 Volt Inflator is definitely a must-have. It comes with a mattress nozzle, presto valve adapter and sports needle. Yes, you read it right. Air inflators can also be used for sports equipment. You may also use it for basketballs, soccer balls, mattresses, and more. From simple inflatable toys to large water rafts, this volt inflator can do the job for you. Sounds like a good investment, right? With its small size and light weight, it is very easy to carry around and store in places that are accessible during times of emergency. Its pressure gauge has a glow in the dark feature so you can see it even at night or in the darkest of places. It is the perfect go-to tool during a flat tire experience. You can just plug the tool to the 12-volt outlet of your vehicle and then it is ready to be used. 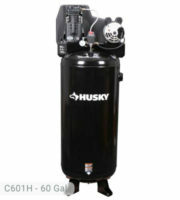 The 28-inch length of its hose is very convenient for users who want to be able to use the tool at a certain distance. 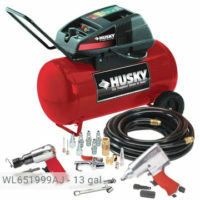 In terms of safety, Husky 12 Volt Inflator has a thermal fuse type switch to prevent damages that can be caused by over-heating. The tool was structurally designed to deliver the appropriate amount of air to your stuff. It also operates quietly so you need not worry about disturbing the entire neighborhood. Its strong maximum psi ensures a reliable output that can accommodate a huge amount of workload. With this power, filling up your whole tire will only take less than 10 minutes. The power cord is well-insulated so it can withstand a considerable exposure to extreme temperature. If your goal is to acquire a long-lasting tool, then your goal is definitely achieved if you purchase this one. 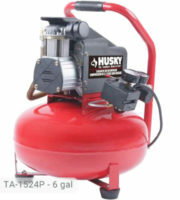 Husky 12 Volt air compressor is readily available right now in leading stores within your locality. Compared to other models, this volt inflator is very simple. There are no added features which can complicate the tool. Since it is a minimalist version, everyone can easily learn how to manipulate it. 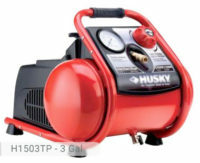 If you have a tight budget but it is necessary for you to buy one, then Husky tire inflator is the one that you are looking for. It is very affordable so you can easily squeeze it into your budget. It should always come in handy so the worth of the tool is guaranteed. If you already own this tire inflator or just want to buy it you can share your review or ask a question through the form below. Need replacement hose if possible. Also instructions on how to do replacement.